Before I gave birth to my third child this past winter, I thought I knew all there was to know about baby gear. He’s only 18 months younger than my middle child, so I assumed not much had changed. Then I discovered all the new stuff out there — baby products that are absolute game changers. So even though I didn’t plan to buy many new things the third time around, I couldn’t resist picking up some of the innovative, cool baby gear that’s really been life changing with baby #3. 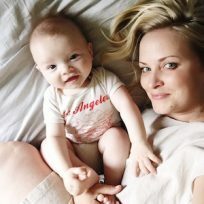 And here’s the thing: These baby gear game changers will come in handy for new moms, as well as those that (like me) think they already have everything they need. Because when something makes your life easier as a mom, it doesn’t matter if you’re a veteran momma or a first timer. From something as simple as a $15 gas reliever to a jogging stroller that is the first of it’s kind, here are the baby gear game changers that every parent needs to know about.